Rena B Recovery Center is a facility that provides addiction treatment to individuals, 18 years and older, suffering from substance abuse issues. 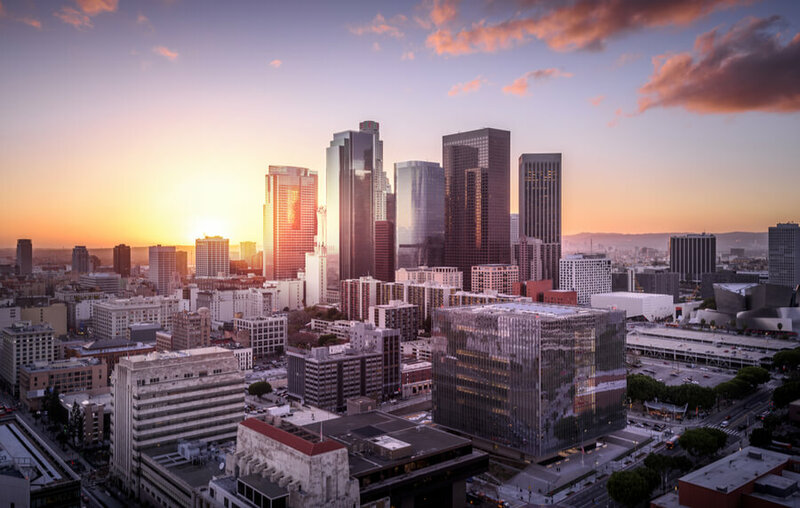 Located in Los Angeles, California and previously under the Marylind Recovery Center umbrella, the facility which is now under the Social Model Recovery center offers long-term residential treatment to individuals suffering from drug and alcohol abuse. With a program rooted in 12-step treatment modalities, the facility’s treatment structure includes both individual and group therapy daily which includes both Alcoholics and Narcotics Anonymous meetings, that takes place on-site. Other meetings including CMA and CA meetings take place on-site as well. Clients are required to attend all meetings on-site until after 60 days, then clients are allowed to attend other meetings off-site. The program offers services such as educational classes that discuss and treat topics such as anger management, life skills, independent living, and sober living. All treatment offered are primarily based on 12-step modalities and talk therapy. After completing 3 months or 90 days in treatment, topics such as job preparedness and important skills for reintegrating into the community begin to be addressed. Also at this time, clients can take day and weekend passes to go out and visit loved ones but this is allowed only when approved by appropriate staff. Rena B Recovery Center offers a staff of team of qualified alcohol and drug counselors who are certified through the CAARR (California Association of Addiction Recovery Resources). Staff without that certification are working towards completing the coursework for it. The facility at this time lacks medical components in its treatment approach and plans. Clients suffering from more severe symptoms or seeking acute psychiatric care might not find the facility to be a good choice, as it caters more towards clients with mild dual diagnosis. With a location just east of the Los Angeles City College, the facility offers multiple access to different amenities such as a park for social activities, shopping venues, subway services, bus routes, and many more. The treatment center currently offers a 100-bed multiple story building fully equipped with different wings for men and women. An average of two to five clients share a room but this is dependent on enrollment. Amenities such as laundry services, a large multi-use room, basic work-out equipment, a patio area, and more are available to clients. The facility makes available a full-size kitchen fully equipped with a sizable pantry. A common dining area which can seat up to 50 clients is available as well. A large multi-use common room where clients can relax, interact, and watch television is available as well. All residents are entitled to three square meals a day and clients are given duties at the kitchen to give them a sense of responsibility. Some of these duties range from cleaning to helping prepare meals. Coffee is also to clients who are interested in such. Clients with dietary needs, restrictions, or allergies are put into consideration when meals are made. Rena B aims at offering a safe and clean environment where clients can focus on achieving complete recovery. The residential treatment program is offered to adults seeking treatment from chemical dependency. This is a community-based program and is primarily facilitated using a social model treatment philosophy. Each client is assigned a counselor for close monitoring and all AA and NA meetings must be attended. Rena B Recovery Center costs approximately $2,000 for a 30-day treatment at the facility. Although, fees are calculated based on a sliding scale. All prices are subject as change as it is dependent on the level of care and treatment type required. Self-pay options are available to clients who choose that route as well as, health insurance plans. Individuals with more questions can contact the facility for more information and answers. Partial Funding is also available for clients who are eligible and is provided by grants from the California Department of Education and the Department of Public Health (County of Los Angeles). All programs offered by the Social Model Recovery are CARF (Commission on Accreditation of Rehabilitation Facilities). Programs are also certified by the State of California Department of Health Care Services. The recovery center offers residential treatment to clients with chemical dependency issues such as alcohol and drug abuse. Formally under the Marylind Recovery Centers and now under the Social Model Recovery, the facility offers residential treatment in a no-frills environment. Using evidence-based and traditional approaches such as 12-step methods, peer support, and talk therapy, the facility offers a solid program for clients to develop self-care, humility, honesty, and more in an environment that encourages growth and long-term recovery. Rena B Recovery Center as a whole provides adequate tools for clients to begin the journey to long-term recovery. After treatment, graduates of the facility’s program can benefit from the various meetings and sober network fellowships offered at a good price.